Present state: The altered station building is now used as an office for the HACS group. Stations cottages still stand next to the entrance to the yard. Notes: Nidd Bridge opened with the southern section of the Leeds & Thirsk Railway on 1st June 1848. It was originally called Ripley but was renamed on 1st June 1862. The rebuilding of the station was authorised in February 1870 at a cost of £411. 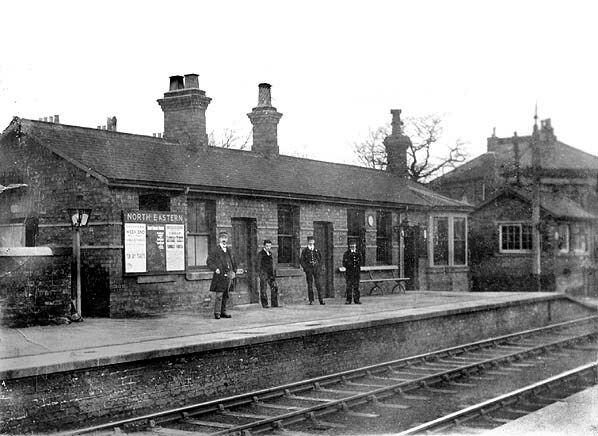 It was provided with two platforms; the single storey booking office and waiting room was sited on the down platform and a brick waiting shelter on the up platform. The stationmaster's house was adjacent to the level crossing on the north side of the road. A signal box was sited at the north end of the down platform. This controlled the crossing and access to the goods yard which was behind the down platform, entered from the south. The yard comprised four sidings, one passing through a goods shed. There was a 5-ton crane and two docks, one alongside the line into the goods shed and the other immediately behind the down platform. In 1911 the station had a catchment area with a population of 468. 10,134 tickets were sold that year, and the main freight handled was timber, with 155 tons being dispatched. 105 wagons of livestock were also loaded at the station. Like other stations on the line, in later years Nidd Bridge had more southbound stopping trains than northbound. In 1956 the station had 4 southbound trains but only 1 northbound. This was a reduction from 1952 when there were 5 southbound trains and 4 northbound. After closure to passengers on 18th June 1962, the station remained open for goods traffic until final closure on 10th August 1964. 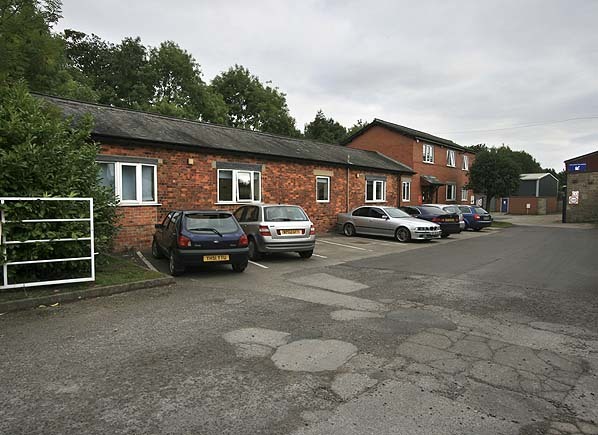 The station site is now occupied by the HACS Group (building contractors) who use the altered and extended station building as their office. 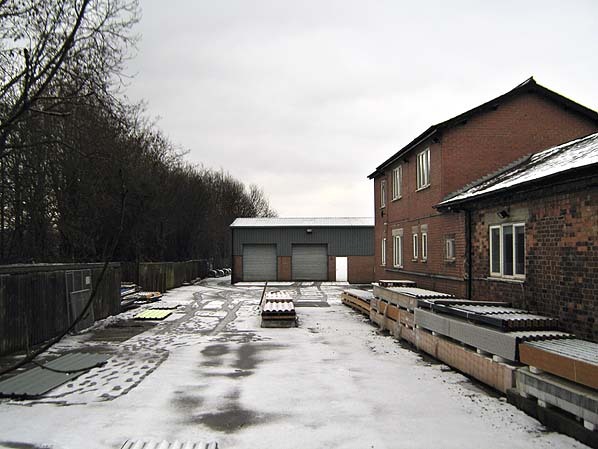 A stone building in the goods yard dates from the 1970s and has no railway connection. The L&S offered a direct route into Leeds from the east while Hudson's longer route into Leeds ran through Castleford via the Whitwood and Methley Junctions. On 9th November 1840 George Hudson arranged to lease the Leeds & Selby, and he promptly closed the line to passengers west of Milford; despite his line being four miles longer, passengers now had no choice but to use it. In 1844 an Act of Parliament was passed allowing the York & North Midland to absorb the Leeds & Selby Railway. Thirsk and Northallerton were early additions to the railway map as part of the Great North of England Railway which, as planned, would run from York to Darlington and then on to Newcastle upon Tyne. The middle section, between Croft and Darlington, was authorised by Parliament on 4th July 1837, and work started near Croft on 25th November 1837. The southern section of the line was authorised on 30th June 1837, and then work was concentrated on this section in order to join up with the Y & NMR which was already under construction, with the two companies sharing a joint station at York. The first section of line to open was between a new terminus at Thirsk and Ripon. Initially this opened to mineral traffic only on 5th January 1848 and, after the line had passed its Board of Trade inspection, a passenger service was introduced on 1st June 1848 (although it is likely some passengers had been carried before this date). Railway companies were not averse to taking members of the public along parts of their lines as they were being built as long as the company had stock and locomotives to so do: such clandestine operations were quite common. Northallerton Low Level station finally closed on 10th February 1901 when a new link, the Cordio Loop from Cordio Junction on the Leeds Northern to South Junction on the old YN&B, was opened on the same day to allow trains from the Sinderby line to run into the main station. A second, the Longlands Loop, running from Longlands Junction on the YN&B, under the Cordio Loop to Boroughbridge Road Junction on the Leeds Northern opened only for down (northbound) traffic on that day. For all too brief a time, the line had proved its value as an emergency route, and voices were raised in a vain endeavour to keep it open. However, serious accidents on the ECML were so few that it would have been folly, in terms of maintenance alone, to keep the route. So once again the batteries were removed and the signalling also. The condemnation of the road bridge at Sinderby may have been a management move to ensure that the line could never reopen. In 1968 the bridge was filled without even removing the track. The Leeds Northern track was lifted in 1970. 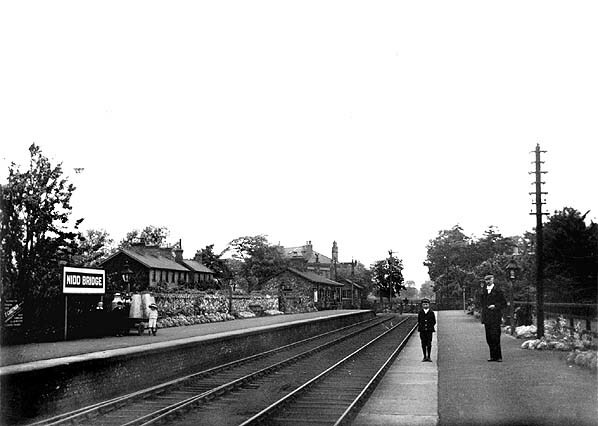 Nidd Bridge station looking north c.1907. 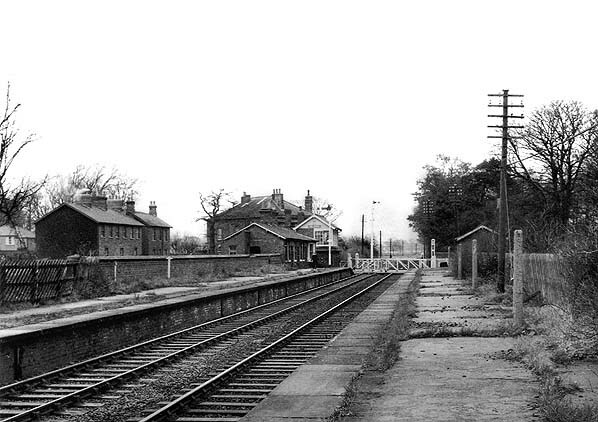 Nidd Bridge station looking south in 1966. 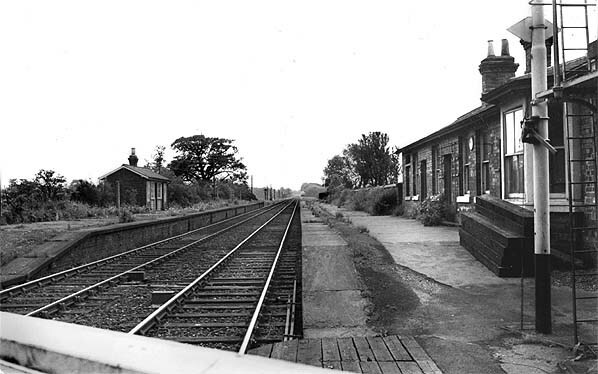 Nidd Bridge station looking north in 1966. 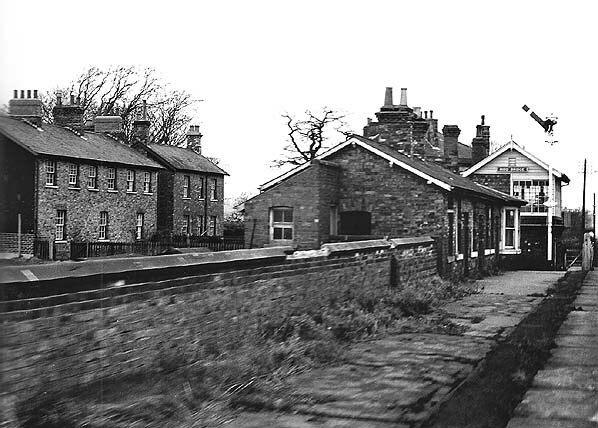 The closed Nidd Bridge station seen from a passing northbound train on 4th March 1967, the last day of passenger services between Harrogate and Northallerton. 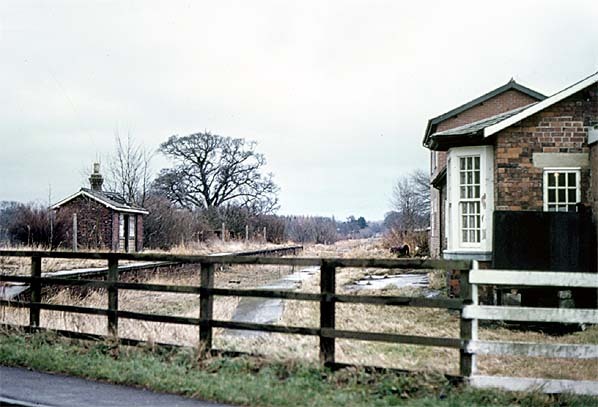 Nidd Bridge station looking south in January 1976. Nidd Bridge station forecourt in September 2009. The single storey station building has been altered, with new windows and doors and a later extension seen on the right. Nidd Bridge station looking south in January 2011. The track bed has been filled in and there is no evidence of the platforms.